Slanted Taco is a mexican cantina serving Mexican Street style Tacos made with hand pressed corn tortillas. Slanted Taco focus on fresh made to order foods. 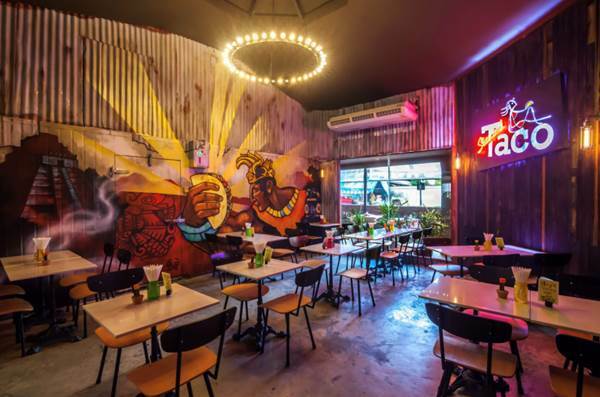 Slanted Taco has a beautiful outdoor garden as well as fun painted indoor restaurant. Mon - Sun : 12.00 a.m. - 24.00 a.m.